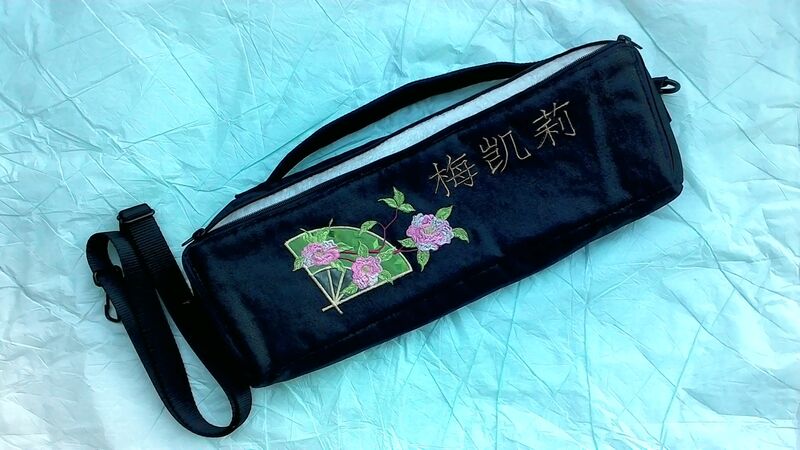 My custom flute case cover with custom embroidery from MischiefDesigns arrived Friday. It’s a graduation gift for another flutist, but it looks so fantastic, I thought about keeping it! It’s slightly oversized, to accommodate both student and professional style cases. In my previous two posts, I discussed lower lip placement and formation, and tongue placement. This final post in series will cover oral space. Have you ever sung in the shower? Have you ever played flute in a bathroom or other space with a lot of hard surfaces? At one time or another, most musicians enjoy performing in these spaces because they are resonant — the sound lingers a bit longer and sounds fuller. Believe it or not, you can achieve a similar quality inside your head by having a relaxed, “open” throat. The easiest and simplest way to create this space is to image you’re riding in a car on a cold morning. The windows are foggy. What do you do? If you’re a kid at heart, you take your finger and write something in the fog. Several minutes later, the windows have cleared up. What do you do? You breathe hot air to fog it up again! Try this exercise right where you are (no car necessary!). Hold your hand in front of your face, pretend it’s a window, and fog it up. (Or pretend you’re checking for bad breath!) Do it several times and feel the space in the back of your mouth at the top of your throat. Notice how the throat is relaxed. If you try to create a space that is too large, you will develop unhealthy throat tension. If you tried my tips in the previous posts over the last couple of weeks, you’re now in a better position to apply this third technique. You should notice the sound become warmer, fuller, and more vibrant. The moral of this story? 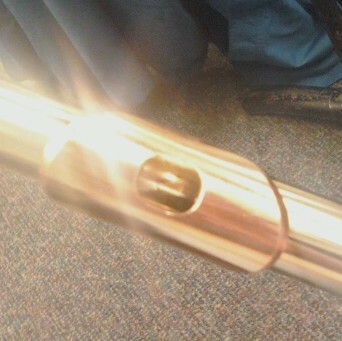 Always have your flute with you. You never know when you might need a random solo to ease international relations.